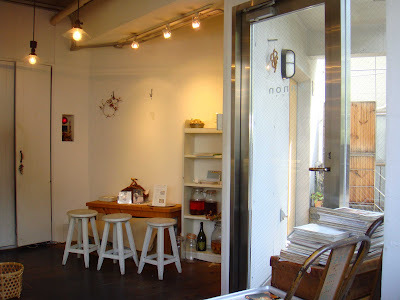 This is among the earliest cafe in my research list started a few years ago. 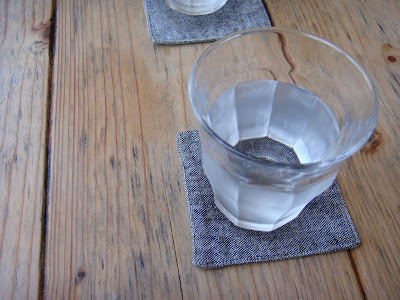 It is also one of the place which provides both the spatial comfort and nutritious yet delicious menu. 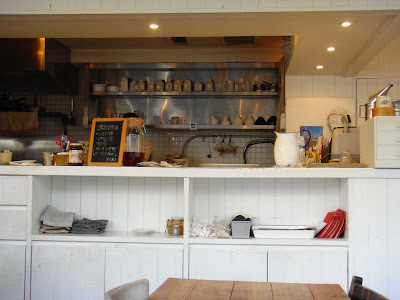 The environment design using wood nicely creates the harmony to fit the healthy organic food. 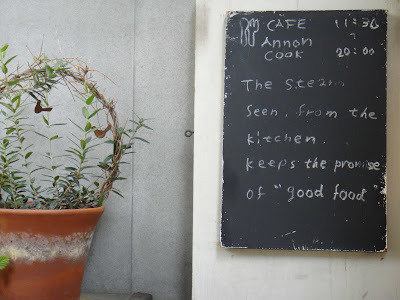 To fully understand and feel the perfectness of realizing an overall concept to every extent of each entity contributing to the cafe, Annon cook is surely a right place to start with. Today, we ordered a curry set and a pain (bread) set. 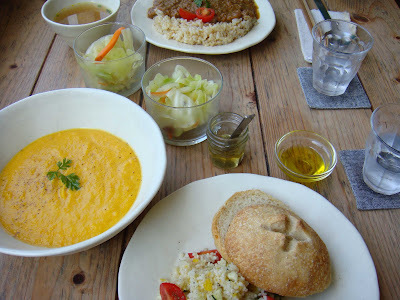 The ingredient of the curry was amazing - they used different kind of nuts to create a mixture of natural taste; and the soup which came with my bread was very refreshing. I belive it is very hard to create a same atmosphere like Annon cook in my hometown because the intensity of sunlight is quite different. But there must be a way to provide nicer food where rich ingredients are used, regardless of the profit earned.